CroisiEurope is renowned for being the largest river cruise line based in Europe. It is a French, family-run company with a fleet of forty-three ships, comprised mainly of barges with a few larger river cruises as well as ocean ships. CroisiEurope operates four chartered river cruises that travel beyond European borders and journey throughout Volga, Burma and Africa. They also expanded their itinerary further afield by adding distant hot spots to their list of available destinations in 2007 with the launch of their first ocean cruise. CroisiEurope cruises are unique in their budget base fares. Cuisine onboard, including lunch, dinner and unlimited drinks, is included in the price of the fare. Passengers tend to be of European origin, with the majority of them being French. The affordable prices, however, attract a selection of customers from a wider scale of location. CroisiEurope cruises Europe's major rivers, exploring wonderful villages and more allowing you to experience new adventures to exquisite destinations. There is no currency exchange facilities on board, so passengers are advised to ensure they have sufficient cash before embarkation. Enjoy the tranquility and the exotic vistas on this 10 night Mekong River cruise. RV Indochine II will take you to all the best places in Cambodia and Vietnam. 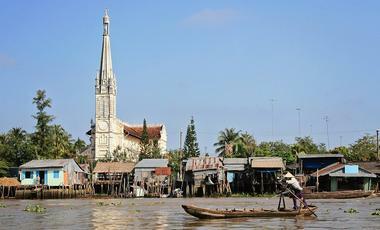 A visit to the small city of Kampong Chhang will make you feel like you've stepped back in time. Enjoy a magical journey across the blue Danube. 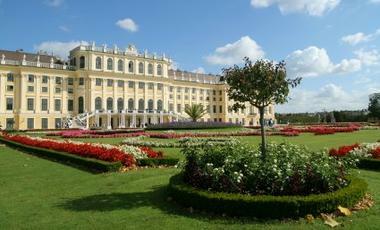 Take in the sights and sounds of Vienna and Budapest and immerse yourself in the splendour of these medieval cities. Make sure to pay a visit to a Viennese cafe. Enjoy a sweet treat in historic settings. Enjoy a quick break sailing along the Rhone River in France. The Camargue is headed for some of the country's most picturesque towns and villages. 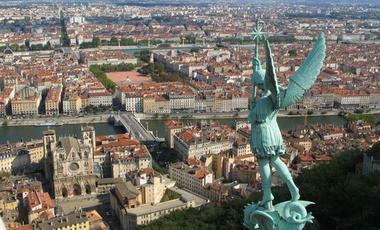 Wander around Lyon's old town and make sure you sample some local cuisine at one of the cafes. The Van Gogh was built in 1999 and refurbished in 2007 and is operated by CroisiEurope, giving you a relaxing and fun cruising experience along European rivers such as the Rhone and the Saône. Embark upon a journey of relaxation and discovery as upon the Renoir, which gives you breathtaking views along the beautiful Seine. The renowned river boat Modigliani was built in 2001 and refurbished completely in 2011, warm colours and comfortable furnishings provide a pleasant and inviting atmosphere on board. The Mistral was built in 1999 and contains 78 luxurious cabins which are complete with comfortable furnishings promising you a relaxing and enjoyable time on board. On board the Leonard de Vinci you can experience a unique river cruising experience with incredible scenery along the Rhine in the utmost comfort and safety in a reliable ship that allows you to sit back and relax. Aboard the Cyrano de Bergerac you will get a combination of style and elegance never before seen on a cruise ship, thereby giving you a unique holiday experience. The newly refurbished MS Camargue - the flagship of the CroisiEurope fleet sails the rivers of Rhone and Saone. The ship's capacity is just 104 passengers guaranteeing a high level of comfort and intimacy. Discover the Havel, Oder and the Elbe on board the Mona in an entirely new way, travelling in comfort in cabins which contain warm colours and are filled with light from the windows in every room. The elegant Monet will give you the most unforgettable trips along the Danube. Guests will feel right at home due to the ship's classic style and friendly ambience. The renowned ship, L’Europe was built in 2006 and completely refurbished in 2011 so as to allow the maximum amount of space and light, helping to create a positive atmosphere throughout. No matter which route you travel, you will enjoy the attentive service and the high level of comfort in a pleasant atmosphere during your journey on the Michelangelo. The modern river boat Vivaldi 2 offers a high level of comfort and service, no matter which route you choose, a river adventure experience is guaranteed. On board the fantastic MS Symphonie you will have a cruise with a perfectly continental atmosphere, in the most relaxed surroundings coupled with the most impeccable service. On board the MS Jeanine you can look forward to fantastic cruises taking you to some of the most beautiful parts of Europe such as Burgundy, Rhône and Alsace. Experience the local culture and more. Every day is a delight on board the modern Belle de Cadix river cruise ship. Experience the Andalusian lifestyle along with world famous vineyards and heavenly beaches. The MS Lafayette is a river cruise boat which boast a modern look and feel. Expect fine dining and stunning views and a memorable river cruising experience. Experience all the amenities of a large riverboat on a small cruise ship that has the capacity to sail into the deepest parts of France. Madeleine cruises between Alsace and Lorraine. Enjoy the amenities of a large riverboat on a small cruise ship that has the capacity to sail into the deepest parts of France. Experience all of the historical sites from Strasbourg to Xouaxange. The MS Gil Eanes is one of three CroisiEurope ships cruising the beautiful Douro River. Cabins feature large panoramic windows, ensuring you have the best view of some of Portugal's most scenic destinations. CroisiEurope's barge Daniele primarily sails along the Briare Canal between Burgundy and the Loire Valley. Enjoy the cosy atmosphere on board and take the opportunity to immerse yourself in local culture. CroisiEurope's new barge Deborah will be primarily sailing the Garonne Canal. A maximum capacity of 24 passengers ensures an intimate experience which cannot be recreated on bigger ships. 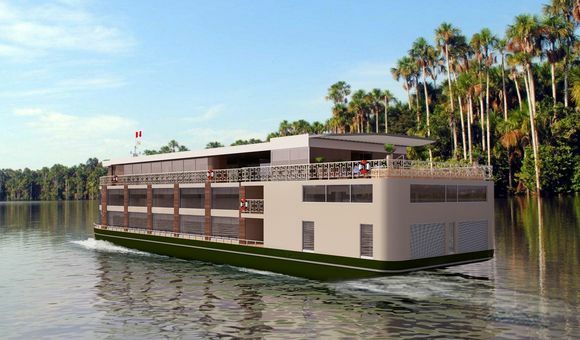 Explore the gems of the Mekong River on board this flagship state of the art vessel. Immerse yourself in the beautiful design and space offered by this amazing ship while exploring some of the most intriguing locations on earth. Built in 2017, the RV Indochine II is 100% CroisiEurope Construction. The ships style is a combination of colonial and modern. Measuring 65m in length, it has 31 cabins and capacity to host 62 passengers. On board Wi-Fi is available. Amalia Rodrigues is CroisiEurope's newest addition on the Douro River in Portugal. This premium ship will take you to all the best spots of South Europe. CroisiEurope Cruises was founded in 1976 and has been cruising Europe’s most beautiful waterways ever since. This is a value cruise line which is an alternative to the more recognized companies but rest assured, it does not compromise on the luxury and expertise one would expect from a cruise line of renown. It is one of the most well-established cruise lines in the market of river cruises and it takes full advantage of its experience to deliver a singular experience to passengers. CroisiEurope Cruises’ value all-inclusive-pricing includes not only your accommodation in a beautiful outside cabin with views, but also the hidden extras like port taxis, entertainment, all meals, complimentary beer and wine at lunch and dinner and the package even grants you access to an open bar for the duration of the voyage. Its impressive fleet is comprised of over 30 streamlined vessels which cater for both river cruises and oceanic adventures. Accommodation capacity ranges from 100 to 180 passengers which is perfect for travellers seeking a more intimate cruising experience. These majestic ships are all spacious, spotless and the facilities aboard will leave you wanting for nothing. The staff are warm and friendly folks who are meticulous in their efforts to enhance your cruise experience. In fact, one could say that the trademark of CroisiEurope Cruises is the crew’s geniality. CroisiEurope Cruises offers exquisite cuisine to passengers from dawn ‘til dusk. Begin your day with a tantalising breakfast buffet comprising of delicious dishes which reflect the rich culture of your current destination. While you wheedle away the hours relaxing in the spa or taking in the stunning panoramic views as you drift down a glimmering river, the expert chefs aboard each ship will work diligently to deliver you a sumptuous 3-course meal for both lunch and dinner. The foodies among you will not be disappointed with the delicious cuisine and, of course, the fine wines which are matched precisely with your meal.